Janet Reid, Literary Agent: Vacation Day #7: Who? This is a sign on the route one of our devoted blog readers walks every day to take her daughters to school. 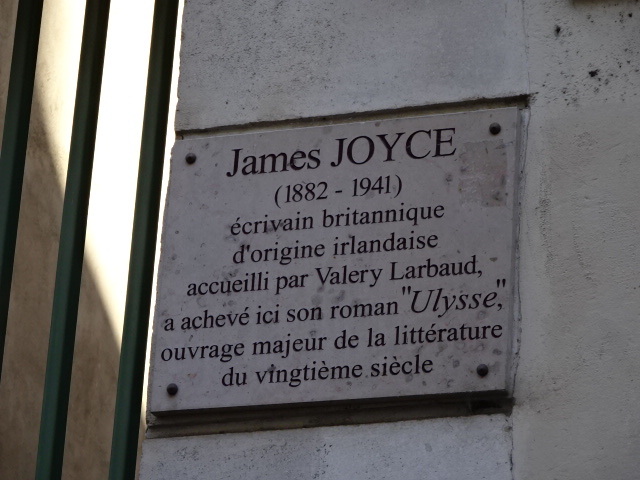 British writer of Irish origin, received by Valery Larbaud, here completed his novel, Ulysses, twentieth century literary masterpiece. Do you have famous folk in your daily life? AWK! Wolfe & Archie's Brownstone! I wanna go there! There's a bunch of that stuff over town: Oliver Cromwell slept here, King Whatisisface handed x much over in Danegeld to Olaf The Painintheneck. My favourite though, is a paving stone dedicated to Reg Presley, writer of Love is All Around. The area of New England I went to high school in was thick with authors. The most famous, who was also famously reclusive and rude to strangers, was J.D. Salinger. My personal favorite was Trina Schart Hyman (children's book illustrator, and reteller of fairy tales). Then there was Bill Bryson, who I first heard of as "Katie Bryson's dad" on my cross country team (she was a champion 5k runner in high school), long before I heard of his books. Also, my English teacher used to teach Solzhenitsyn's son - and caught him smoking weed behind the gym several times. When I lived in Italy there were famous people everywhere - too many to count in Rome, but I always enjoyed walking past Galileo's house in Pisa, and watching the chandeliers in the Duomo swing, as he reportedly did. I just moved, and I haven't scouted out the famous locals, yet. But living in University towns, as I have always done, there's always someone. 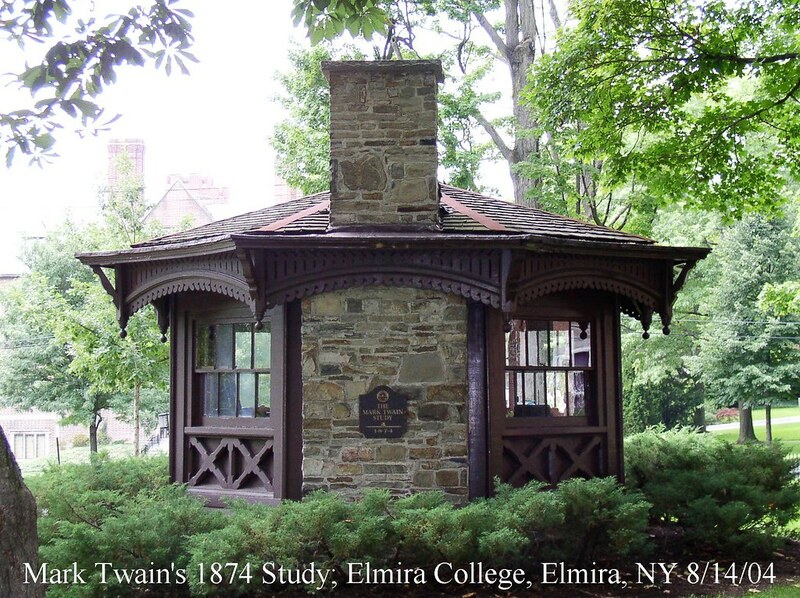 Mark Twain spent time in this area -- Elmira, actually. His study is in the middle of the Elmira College campus, my daughter's alma mater. Mark Twain/Samuel Clemens is buried in Elmira, and a man recently was charged with the theft of a bronze plaque from a monument from his grave. But! But! But! 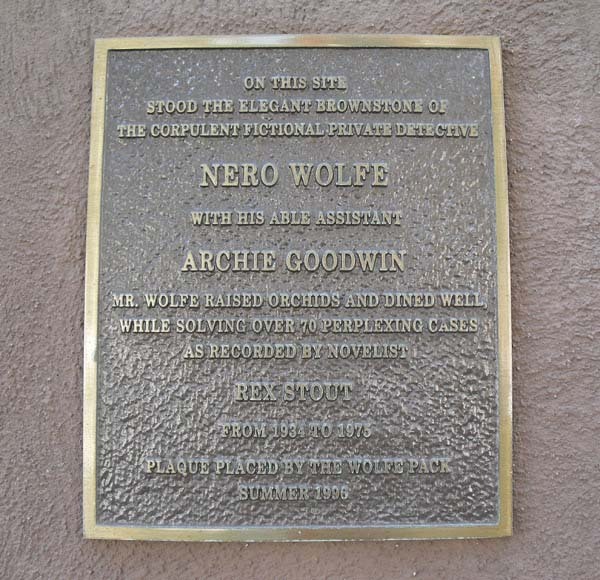 Like W.R. Gingell said, I want to see Nero Wolfe & Archie Goodwin's brownstone! I loved Rex Stout's novels. When I last moved, I gave away a bunch of books, among them 20 Nero Wolfe novels. I'm still sad about that. Hmm, maybe I'll start collecting them all over again. General William C. Lee is known as the Father of U.S. Airborne. The house/museum is on the National Register of Historic Places. My home town, Hereford, in the UK, boasts an impressive Cathedral. We had chapel there every morning. To sit in Hereford Cathedral is to surround yourself with history. Memorial stones to centuries-gone nobility, sarcophagi dating from the 11th century, King Stephen's chair--the seat upon which England's 12th century monarch apparently occupied when he visited. It is also the home of the Mappa Mundi, the oldest map in the world. Hereford's notable people include the actress Nell Gwyn, mistress of Charles II (there's a plaque to her on the wall outside the Cathedral grounds--she was supposedly born somewhere around there), the actor David Garrick, the original line-up of The Pretenders (sans Chrissie Hynde), and Frank Oz of Muppet (and Yoda) fame. Used to live two blocks from here. A bit farther now. 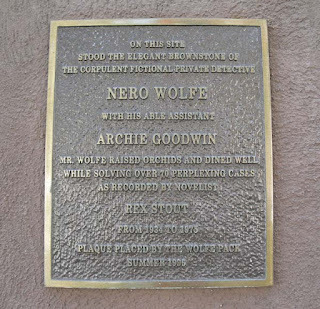 I didn't know who Nero Wolfe was so found this: Nero Wolfe A stout man in this portrait. 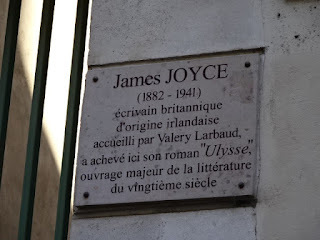 I know where that James Joyce plaque is (°!°). A few days ago I discovered a Hemingway plaque across the street. I accidentally walked over Jane Austen's grave! And then visited it on purpose many a time; she is buried in Winchester Cathedral, where I went to university. I always adored the fact that the inscription spoke so lovingly of their daughter and sister, and made no mention of her writing. Her books may belong to the world but she belonged to her family. Was always tempted to knock on their door and ask for Jane. My first crush was Archie Goodwin. I will see that plaque, some day. No famous authors from my area, but we do boast the first female astronaut, Roberta Bondar. Her mom taught me shorthand. Never, ever, used it. The group of seven painted many a picture of our area around Lake Superior. And that's about it. OH, and hockey players, of course. It is Canada. Gretzky played for our home team, and the Esposito brothers were born and raised here. If you're into curling, the Jacobs won Olympic gold in Sochi. I live reasonably close to the Richard Nixon Presidential Library and I've visited a few times. I see judges every day, many of whom believe they're gods. I visit the blog of the Queen of the Known Universe. My husband is related to Ulysses S. Grant, does that count? Growing up in Brunswick, Maine, there were a few people of merit. My favorite was Col. Joshua Chamberlin famous for his defense of Little Round Top with his 20th Maine regiment, on day two at the battle of Gettysburg. A four term Governor of Maine. He was then the President of Bowdoin College. Although his biggest deed was allowing Confederate officers to retain their swords and sidearms...which was a big point of contention and nearly caused a free for all with the officers and their men. He handled it with class and averted a major skirmish and he and his men attained the notoriety and pride of the same level as Maj. General. George Pickett and his men of Virginia. Yes, her name is Janet Reid. The only other one is our former governor who lives around the bend. I go by the entrance to his driveway almost every day. And once he almost hit me at my mailbox on his way by. I'm sorry. I had to include myself here SOMEHOW. Most days growing up I passed by the marked spot where "Jingle Bells" was written. Does that count? Oh Amanda, I LOVE the Group of Seven. I live in Indianapolis, near the James Whitcomb Riley house, but I work (as an English teacher) in a neighborhood, Irvington, named for Washington Irving, with streets like Hawthorne, Lowell, Longfellow, and Holmes, after some great American poets. It definitely makes me smile to drive by Washington Irving's bust on my way to school! The O. Henry House and Museum is in Austin. I don't pass it often, but I have been to a writing workshop there. Unrelated: spellcheck is your friend. Always have spellcheck turned on when writing blog posts. This is general advice and not aimed at anyone in particular (Janet). I am willing to risk Carkoon exile over my support of spellcheck. I need not envy the fields of other men. Jabber, jabber, goes my son at play. Chin in hand, l listen to singing birds. Who comes to commend me on my way of life? Well, the woodcutter sometimes passes by. *Frederick Weatherly, prolific songwriter of the latter 19th/early 20th century, who wrote the best-known lyric to "Danny Boy." Fred Rogers of Mr. Rogers' Neighborhood lived near us. Gorgeous house you can see from the water if you ever take the Winter Park boat tour. My favorite bar here in New Orleans is the Pirate's Alley Cafe (there's actually a street officially named Pirate's Alley – gotta love NOLA) where you can enjoy an absinthe. And right next door is a plaque noting the building where William Faulkner lived and wrote his first novel, "Soldier's Pay." It's now the home of the Faulkner House Bookstore, a wonderful old place where you walk in and can SMELL the literature. While I happened to be on the MN Fun Facts site I thought I'd check out the category of "villains." Can't imagine why. It now lists the dentist who killed Cecil the lion. Susan B, you reminded me of another "encounter" only this isn't a daily thing - which is good, as ya'll will see. Past daily life, yes. Lots! Now...depends on what business you're in, I suppose. None were authors though. Actors, musicians, artists, business giants...I guess I didn't really think about it until Janet's question. I do have lots of author friends. Do they count? Angie, though I do occasionally complain about my hometown's isolation, the scenery is amazing. Every season has it's own beauty, and the works of the group of seven did a fine job of capturing the area. Oh, and Rudyard Kipling owned property in Vancouver, bought in the initial building boom in the 1880s. Two lots now close to downtown, but then what we call "undeveloped". His description was: "Me voici, owner of some four hundred well-developed pines, a few thousand tons of granite scattered in blocks at the roots of the pines, and a sprinkling of earth. That's a town lot in Vancouver." He owned the lots until 1928, and also for some time owned 20 acres in North Vancouver, which he dutifully paid taxes on for years until he found out somebody else owned it. The story is that when he complained, the only reply he got was "Did you buy that from Steve? Oh, you shouldn't have bought from Steve. Not Steve." Kathrine Hepburn lived in our town, forever. (Old Saybrook, CT.)When we had friends visit from St. Louis they wanted to see where she lived. As we drove by I said, "...and over there to our right is the house Katherine Hepburn calls home," and our guest said "...and to our left is Katherine Hepburn." She was standing next to the Fenwick tennis courts. They got to see her up close and personal. I used to see Kate around town all the time. Sometimes when tourists asked where she lived we'd give them confusing directions so they wouldn't bother her. When my column included my headshot, people used to stop me all the time, "Are you that writer?" they asked. They were always nice and made me feel well-known in a (minnow in a mud puddle) kind of way. I was the most famous person I knew which shows how uninteresting and pathetic my life is. Now my column does not include a headshot. Ah, fame, such a fleeting thing. I had a wonderful English teacher in High School who once assigned us to write our own epitaph. I don't remember what I wrote, but it doesn't matter. I'm still alive. This is the most fascinating neighborhood I pass through every day. People, your lives! CynthiaMc, I thought Fred Rogers was from the Pittsburgh area and Mister Rogers' Neighborhood reflects a part of the city of Pittsburgh. Don't tell me I'm wrong about this as well? The things I learn on your blog, Janet, is overwhelming! Sigh. I don't live IN a town, but the closest is Wasilla. And everybody knows who Wasilla's famous for. I actually did know Ms. Palin when I worked as a reporter on the local newspaper. She was mayor then. And nope, I can't see any foreign countries from my house whatsoever (although technically she didn't actually say that, Tina Fey did). But Rocky and Bullwinkle pass through my yard almost every day, can that count? I learned recently that a friend from high school will be singing the role of Mimi in La Boheme at Teatro alla Scala in Milan. She's not (yet) a household name, but singing a lead role in my favorite opera at arguably the most famous opera house in the world is good enough for me. When I lived in London we lived near the house Thomas Crapper had lived in. The house had a blue plaque on it saying so. Contrary to popular belief, Crapper didn't invent the toilet, just the ballcock thingie that makes it flush… Not sure if that really counts. Two of the most varied people in entertainment hail from these parts; Hulk Hogan and Pee Wee Herman. Christina Seine, it was during my sophmore year living in a dorm in Frostbite falls that a room mate of mine dated Rocky's sister. Ah, those were the days at Wassamatta U. still have my varsity lettered jacket. 2NN's Wow, seeing Katherine Hepburn...now that would have been a siting. I was a superintendent in uber-high end construction for 20 odd, very odd years in L.A. and worked for a few, but she and Audrey would have been on the top of the list to see. John Frain...You nailed it...as usual! Hank - Wassamarta U. Love it!!! And John Frain, I agree w/Hank. Nailed it! I've been lurking for a while, but I had to comment to thank you all for your writing class/resource recommendations in the Curtis Brown post a few days ago. I have this weird thing where just reading about writing inspires me, so your recs have both helped me out of a mild slump and twigged a few vital plot changes. On topic, I live near the birthplace of an early Canadian Prime Minister, William Lyon Mackenzie King. That's it, though. Huh. I expected that to use my Google account. Yeah Colin, I went from being seen in one paper each week to not being seen in eight. I followed Katherine Hepburn into a store once. She was pushing a cart, I was pushing a cart, everyone was watching her and everyone left her alone. 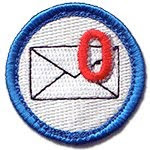 Oh, I almost forgot I was standing in line at the post office in the town I live in now, and the old guy in worn shorts and a T-shirt in front of me, well as people turned to leave the post office they'd nod to him, he'd nod back. I figured he was just some old man everybody knew, like a barber or a retired teacher. Then one guy, as he turns to leave says to old man, "Hello Mr. Carney." I was standing behind Art Carney. My husband's cousin taught Stephen King's son. I was on the Merv Griffin show for thirty seconds back when I was blond and stupid. I'm not blond anymore. Walter Raleigh's house (one of them, anyway) is not far away, still set in its grounds, not looking much different from when he lived in it. There's a beautiful 12th-century church just nearby, up a hill, and many trees. The whole atmosphere around that area is lovely. Local lore has it that this was supposedly the setting for the famous incident in which Walter was smoking some of his newly-discovered tobacco one day, and a servant threw a bucket over water on him, thinking he was on fire. I'M JEALOUS OF YOU ALL. And especially for O'Henry's museum! He's one of my favourite writers! Saskatchewan doesn't have a very long history - it became a province in 1905. Even so, there are some personages I see around. There's one building (and a dam, and several parks) dedicated to James G. Gardiner, former premier of Saskatchewan. This tends to grab my attention because he's my niece and nephew's great-grandfather. My own great-grandfather has been on my mind lately - not that I ever knew him. But I've been doing a lot of research lately on him, his times, and his murder trial. Maybe I'll get a small local history book out by the centennial of his death, next July. - Kiefer Sutherland (Donald married Tommy Douglas's granddaughter - Tommy Douglas, the father of Socialized Medicine in Canada, from Saskatchewan). nightsmusic: That's okay. Lettuce is evil. It will get you every time. I grew up in Maryborough (Queensland, Australia) where PL Travers was born (author of Mary Poppins). But, of course, my wife and six children are the most notable people I see every day - Colin, that's beautiful, I think you've definitely scored brownie points with that comment. Thanks, WRG, I'll look into it, but I prefer print books. 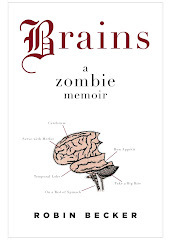 It's very seldom I'll buy an ebook. My parents were very involved with local politics, where I grew up in MN. In fact, my dad pretty much wrote the DFL platform, back when MN was solidly a blue state. Anyway, my dad knew Hubert Humphrey. I met him once (very long story) and told him my dad said to say hello (which he had) and HHH knew exactly who I was. It was an odd moment. Dad also knew Al Franken and Tom Davis (Al's parents were also very active in politics and lived in our neighbourhood). He had quite a few students who went on to achieve notable things, including a woman who was the first woman president of the ACLU. I took piano lessons from her one summer-- for two weeks. I was maybe 12 and hated every minute of it; we ended the torment by mutual agreement. This week feels like we're all on a very strange group blind date. I used to help carry and set up Bob Seger's equipment in and out of his venue of choice before he was BOB SEGER. Along with him was MC5, Alice Cooper and several other groups that were 'local.' A friend's sister married one of the Journey members (what a wedding!) My dad was an extra in a lot of westerns. I knew John Wayne when I was a child and my dad was still active. Roy Rogers as well along with several lesser known western movie actors and extras. I know several drag racers and NASCAR people and work for Jack Roush who used to be my customer before Roush Enterprises was. I've had dinner with Richard Nixon, Paul Newman and...others. I got to thinking about how many people I've known while reading everyone's comments and didn't realize how eclectic my life has been. Good times! I've mentioned before my fortuitous birth in Bruce Springsteen country. My aunts and dad all have their Bruce Springsteen Sighting stories, I do not, other than having seen him in concert in the storied Asbury Park Convention Hall fora holiday benefit concert. Also, by that same association (two of my aunts, plus my dad) I know a couple of Bam Bam Bigelow anecdotes, in addition to having graduated high school with his second cousin or something. Where I live now, in Central New York, Yoko Ono's country retreat is within 30 or so miles of me, but I've certainly never seen her (to my knowledge). And, um, Neil Gaiman answered a question I tweeted him once. kd, that (the blind date reference) was spot on. Do you mind if I call you Kraft Dinner? Colin and 2N's...lol funny. We're a funny bunch. Especially when we're giddy with writing-induced fatigue. nightmusic, I would be honoured to meet you, just to say I know someone who knows someone. Carolynn, I'm a Sadge, of course. Full of wisdom... or something. Buy you a drink? I forgot to say (so many cool comments, I got distracted) that I also used to have a headshot appear with the op ed columns I wrote for a tiny little paper in FL when we lived there. God, I hated that pic. It wasn't until we were ready to move away and I wrote a sort of farewell post that I realized how "popular" I was. The editor was a smart guy. He never once mentioned any feedback they got to any of my pieces (many of which were about local politics, surprise!). He said dealing with that was his job, my job (it wasn't a job, there was no pay or obligation) was to write. Clearly, this was back before online comment sections. Anyway, I guess there was a LOT of feedback over the (four) years. Some of it was even positive, as I got some nice parting gifts from people who liked what I wrote. Pretty sure there were other people who offered to pay for the move. Kraft Dinner? Are you saying I'm a bit . . . cheesy? OMG. I got to choose pics of noodles as verification. I'm starting to think recaptcha is really the NSA. Which reminds me, we once had our home phone tapped by the CIA, when I was a kid. That's one sort of "fame" I guess. Actually, I think the technology involved at that time was pretty similar. The tap was... noticeable. Racherin - My friends and I used to hike together during the winter. One year we read Bill Bryson's A Walk in the Woods. It is still one of the funniest books I've ever read, especially for hikers. Lynn - Fred was from Pittsburgh but went to college here at Rollins. I heard from.a neighbor it was his parents' house but I don't know for sure. Fred and his family spent every January here. Colin - it is indeed a beautiful day in our neighborhood most of the time. Forgot to mention Jimmy Buffet went to high school with my brother and used to be our paper boy. And this time, reCATPCHA didn't ask me to identify anything. Do you think it knows me? That's a scary thought! I used to catch glimpses of Pat Rothfuss and Larry Watson on campus from time to time. Cynthia, thanks for the info. Yeah, I had to look that one up on Wikipedia to reassure myself. Lol. Jimmy Buffett, your paperboy! Wow, if that doesn't call for having a margarita, I don't know what does. I'm off to have one. Because my birth town and my current hometown are relatively young in the world view, there's not too much in the way of all the historical plaques, etc. Mitt Romney is my third cousin. My husband is the top-ranking Veteran Sabreur of Australia. I am descended from one of the first female Senators in the US. I am also directly descended from kings of Sweden, England, France and German nobility. But as I am a meritocrat, I much prefer to claim fame based on my own actions. Some day I plan on being a famous-enough author. Terry Fox is a Canadian hero. I live in his hometown and often pass the library and school that bears the name in his honor. He lost a leg to cancer, and with only one leg he ran across Canada raising money for the Cure for Cancer. I remember Terry Fox's run! What a remarkable young man he was. I played in a trad jazz band with Frank Thomas, one of Walt Disney's original animators. He played the piano, just as he did with the Firehouse Five Plus Two, Disney employees moonlighting at Disneyland playing Dixieland jazz. I had always wanted to meet a Disney animator and Frank exceeded every expectation I had. He had a sense of humor, yes! But the compassion!!! When we played a festival on Catalina Island and he found my brother had died two days earlier, he invited me to join him and his family for dinner. No words about loss. Just a warm conversation about art, music, travel, philosophy - exactly what I needed. Bambi trying to stay upright on the ice - Frank did that. Lady sharing a plate of spaghetti with the Tramp - that was Frank's, too. Frank's son made a great film about Frank and his friend and colleague, Ollie Johnston. It's called "Frank and Ollie" - available on DVD. Maybe even at your local library. No plaques, but my high-school graduating class included the comedian Billy Eichner (whom I don't remember) and the feminist writer Jessica Valenti (whom I do). Also -- and impressive in few places other than here -- once during my junior year I spent a fire drill chatting with a cute senior girl named Rebecca Pawel.